URM Universal Rubber MFG specialises in moulded rubber components. 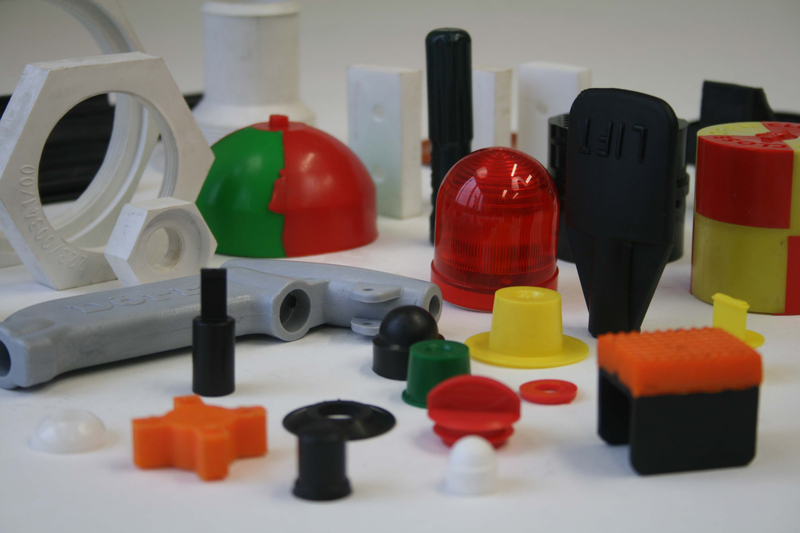 We develop and design rubber components in a multitude of polymers for many industries around the globe. We offer products in rubber, silicone, Nitrile Rubber and Fluor Viton Rubber as well as Rubber to metal bonding. Products and parts are manufactures inhouse and have an outstanding certified quality. There are many types of rubber moulding techniques. Performing an injection molding requires the use of Silicone Rubber gum. The silicone is supplied via and injection barrel and will be pressed when the press closes. The press fills up any cavities in the mold. The silicone rubber goes through a curing cycle and is removed from the mold. Another type of rubber molding technique is RTV Silicone moulding or Room Temperature Vulcanizing. Similar to Injection Moulding, Liquid Injection Moulding uses a closing mold but does not use a rubber gum, instead a liquid silicone is poured in the mold. A catalyst or curative is required so that when both liquid parts are mixed and poured in the mold, the silicone hardens into the finished product. Compressiion Moulding is yet another method of rubber moulding. It uses a base rubber form, shaped in the size of the finished part. This base form is used to make a mold for the rubber compression. The rubber is then cured with heat and pressure, called rubber vulcanizing. Transfer moulding is a type of rubber moulding technique comparable to compression moulding. The big difference between transfer moulding and compression moulding is that the rubber uncured form gets placed in a transfer pot above the mold instead of being placed directly in the compression mold. It is then transferred in the cavity and cured with heat and pressur, or Vulcanized.